In order to jump-start your meetings, training or any professional venture, icebreakers are often a necessity. But let’s be honest. Having to plan a game and getting everyone in the room excited can feel awkward and forced. Luckily, Las Vegas has icebreakers that melt away any stress. With locations and activities that get the conversation started, you’ll have no problem getting to know your team or future co-workers. Instead of generic, one-size-fits-all icebreakers, these are targeted to the group that’s all about Vegas − and a little adrenaline rush. 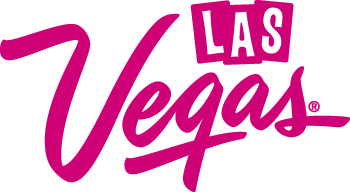 Break the ice, and the norm, with places only Las Vegas offers, and experiences that can only happen here. The River Mountains bike trail recently opened and is a leisurely, downhill trail toward Lake Mead and Hoover Dam. For a small group, fewer than 10 people, this is a great icebreaker and lets you take a breather. Switch up sitting across from each other at a coffee table for a kayak − can you think of a more relaxing way to break the ice? With views of the “Boulder Islands,” you’re sure to get the conversation started. Off-road adventures can definitely stir up the best conversations. With the Eldorado ATV tour, you explore the historical Eldorado canyon and have stops at secluded mines. It’s also just 10 miles from Hoover Dam. All of these experiences can be done with Desert Adventures, a full-blown adventure company that includes hiking, mountain biking, ATV tours − a little bit of everything outdoors and on the water. Located in Boulder City, Desert Adventures is the perfect place to break away from the city and break into some fun. Break the ice by revving the engine of your dream car. In Las Vegas, you can find the longest driving experiences, giving you maximum lap (and talk) time. Headed to the Strip after? SpeedVegas’ track is located just 10 minutes from the infamous Welcome to Las Vegas sign, and with free transportation from all major resorts, you don’t even have to worry about drive time. SpeedVegas offers corporate and group events, so aside from revving a Porsche, you can also reserve some privacy by using its indoor and outdoor viewing terraces. There, you can mingle and enjoy food and drinks before returning for more laps. If you want to move the icebreaker to a massive event, you can rent its private meeting spaces, which accommodate up to 1,000 participants, and have access to Wi-Fi, projectors, whiteboards, catering and more. Find your next business opportunity in the “om” with Yoga at Valley of Fire. What could break the ice more than flying above the mountains and hitting tree pose on the very tops of them? HeliYoga with Maverick Helicopters will take you and five people from the Strip to the highest point in the Valley of Fire for a 75-minute yoga session. Afterward, you can talk business and chill with incredible scenic views.